Sippers are always on trend for everyone, especially for traveling people. Your kid is no exception, they need a better storage than just a bottle for keeping their water and other nutritious liquids. Sippers can be a very good option to keep your baby's liquid diet. 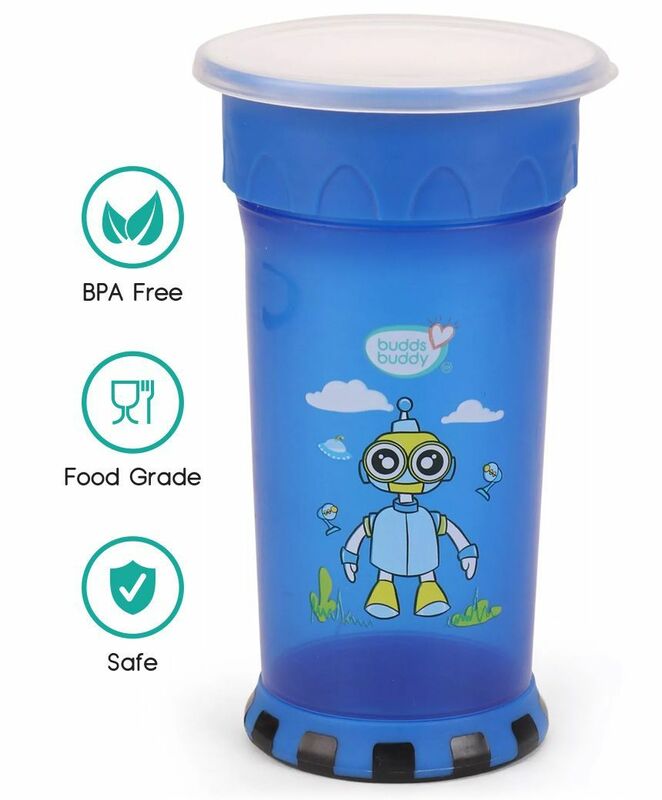 Realizing this need, Buddsbuddy has come up with special Sippers range namely Premium All Round Sipper, where you will have options to find the very right sipper bottle for your kid.